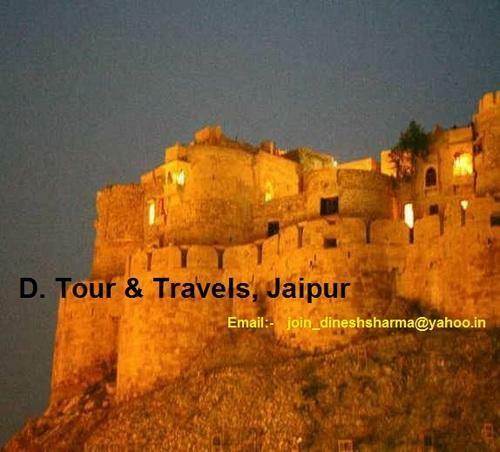 We would like to introduce ourselves as a 360 degree travel solution provider for all kinds of markets in Rajasthan, India. Be a social network site for travelers and able to deliver a “WOW” experience to our customers. “To satisfy our clients with unparalleled services by creating new heights of standards with excellence and innovation”. Provide local support wherever the client goes. 1. Rental Service - We are Hiring/Providing #Car, #Bus, #Taxi, #TempoTraveller etc on rent Basis from #jaipur (Rajasthan) to other states or major cities in India. 2. Tour Package - We provide #Holiday_package, #School_Tour_Package, #College_tour_Package, #Group_Tour_Package, #Adventure_Tour_Package, #Hill_Station_Tours_Package. #Snow_points_tour_Package , #Honeymoon_Package, #Family_Tour_Package, #Business_Travel_Package, #Destination_Management_Services, #World_Class_Holidays .Right & safe planning of the #trip, #flight bookings, #sightseeing, #excursions, #adventure trips, #insurance- We do it all. 3. Ticket Booking Service - we are providing ticket Booking service , where client book his ticket for #Train_Ticket, #Flight ticket/AirTicket, #BusTicket, #Volvo_Ticket. 4. Travel Insurance Service - We are providing Travel Insurance for traveller. 5. Tour Consultancy Service - We Provide #consulting service about #Tour Package and #Travels destination. Provide local support wherever the client goes.